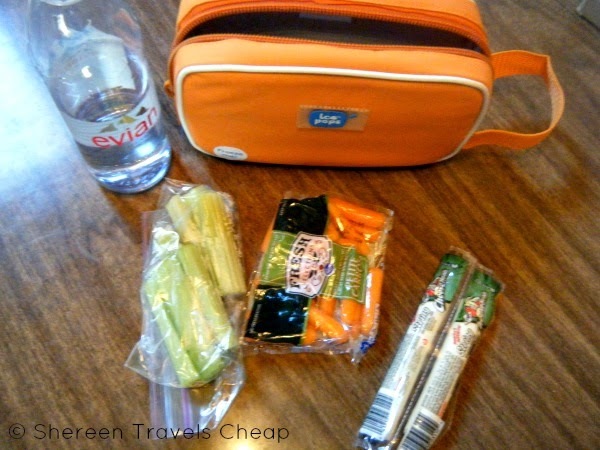 When I travel, I always bring my own snacks. Wouldn’t it be nice to be able to keep things like fruit or cheese cold so you can actually take it with you? I know it would be useful when traveling with kids, too. As much as I like chips and crackers and homemade granola bars, fresh foods would be lovely. I was able to meet up with Cool-it Caddy at the Travel Goods Show in Phoenix and picked up a sample of one of their great Icepops bags. 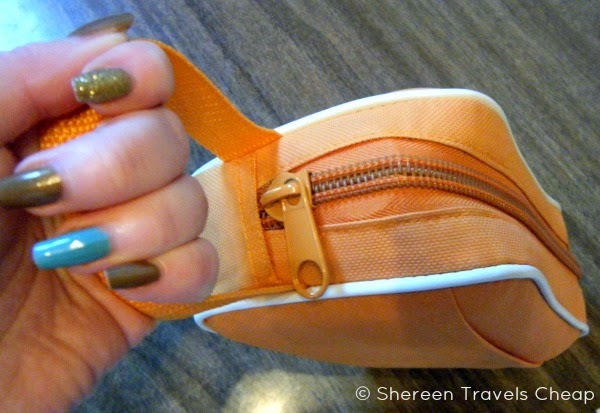 Not only do they come in snappy colors, but the bags have built-in freezable coolants packs in the sides. You pop the bag in the freezer and a few hours later you have a bag that you can take with you on the plane, to the beach, to amusement parks and anywhere else you want to keep things cool. A small water bottle can fit in the Icepops, which is great when you’re out and about and don’t want to spend money on drinks or have no way to keep a drink cold for longer than 10 minutes. We go to a lot of theme parks. Imagine how much better Disney would be if the water you brought in DIDN’T have to be frozen before you left your hotel and you didn’t have to wait for it to unfreeze to drink it, or you an unfrozen one stayed cool longer than the time it takes to actually get into the park? Cold water is just more refreshing and tastier. Going to the beach? Many of us don’t just head down to the sand and then go straight home. 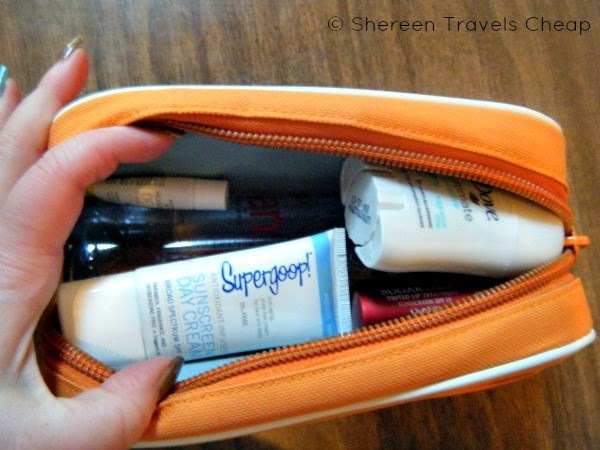 Use your Icepops bag to store your sunscreen, lip balm, deodorant and anything else that can help you freshen up, so you can toss on a cover-up and go straight to lunch or dinner. Melted beauty products is a bummer, especially when you have paid good money for decent products. And I don’t know about you, but I don’t want to have to replace things when I don’t have to. Things an only stay cool in your beach bag for so long, but if they’re in an Icepops bag, they will stay cool for hours. Run your errands and keep cool, too. Once you’ve gone in a few stops, that bottle of water in your car is going to heat up. Not only is warm bottled water gross, but experts say it’s also unsafe to drink. Icepops keeps it cold through all your errands and keeps other items from warming up, too: your tube of lipstick for touch-ups, that candy bar for a little indulgence, your medications you have to take throughout the day that are supposed to stay at a certain temperature. Stuck with the wee ones at Little league? Stash a couple of juice boxes and carrot sticks in your Icepops for those that aren’t playing or for celebrating after the game. How exciting to be able to present totally cold drinks and nibbles for your little ones anywhere you go. And if you go anywhere with babies and need to keep milk cold, this is the perfect solution! Slip the bag into your diaper bag and you have milk that is good for hours. 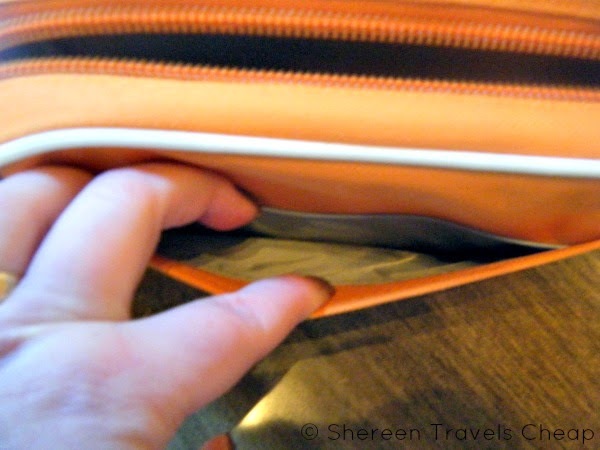 If items are cold before they go into the bag, they are able to stay colder even longer. Icepops can stay frozen for up to 7 hours, which can get you through a lot. Keep it in the freezer to use at a moment’s notice. For maximum space inside, roll up a small towel or stuff some paper inside, so you can easily get your items inside when you’re ready to use it. If you forget this step, don’t worry. 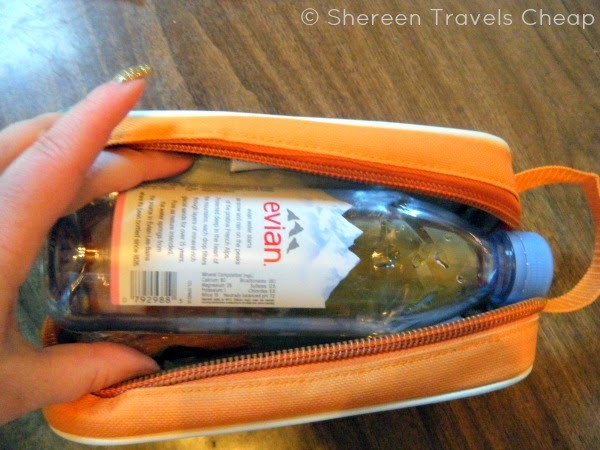 You can still stash a water bottle and other goodies inside, it will just be a bit of a tight squeeze. With summer vacations coming up, you might want to buy a couple of these to take with you anywhere you end up going. If you would like a Cool-it Caddy for just your beauty items or a more manly black, check out the website for more styles and materials. 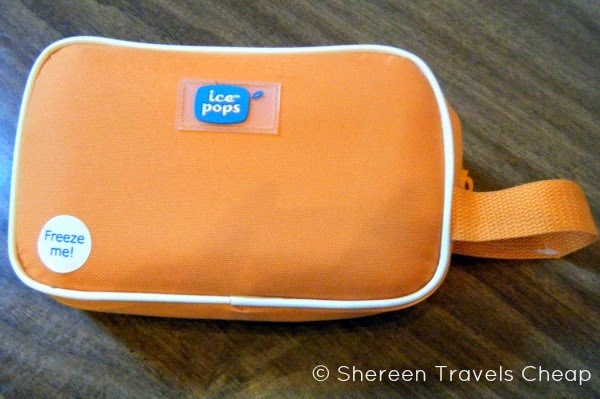 Disclosure: I was provided with a Icepops bag by Cool-it Caddy for the purpose of this review, but all opinions are 100% my own.